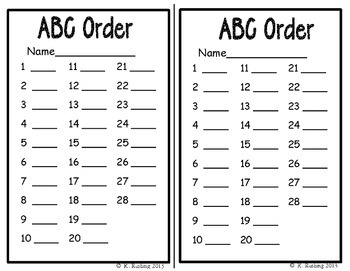 Do you have students in your class who just do not get ABC Order? 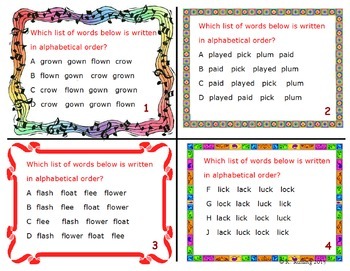 This activity will help these students practice in a fun non-threatening way. 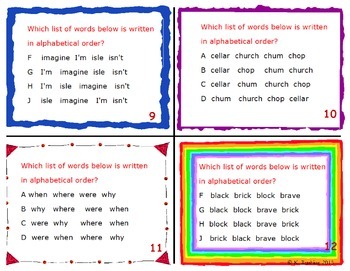 Using dry erase markers teach them techniques to eliminate incorrect choices. 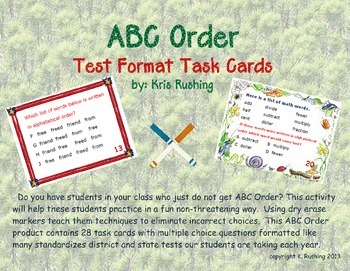 This ABC Order product contains 28 task cards with multiple choice questions formatted like many standardizes district and state tests our students are taking each year.